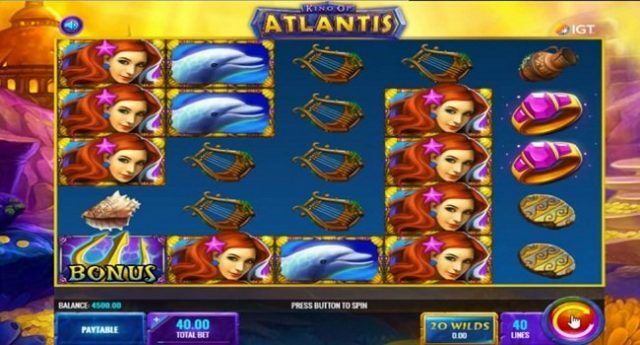 King of Atlantis is an IGt based online video slot game of reels 5 and payline 40. 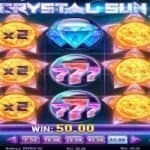 You can play this slot using coin sizes of 0.40-0.90 to 800-1,800. The game offers 250 times of your total bet and has many bonus rounds, where you could easily get up to 8 free spins and multipliers. This is a beautiful slot machine which can be played using laptops, personal computers, iOS (iPad and iPhone), and Android (i.e. Samsung devices). 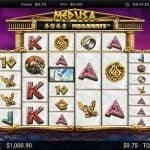 This slot is based on Greek mythology theme i.e. on Poseidon. The game is all about a Greek god known as Poseidon, who was one of twelve Olympian deities in Greek mythology. He is also known as God of sea (a white beard, golden crown and trident). The game background is sea and the reels of the game include symbols like dolphins and mermaids, harps, rings, crowns and dolphins. The mermaid is the highest paying symbol in this slot which would pay you 250 coins on your total stake if you lucky enough to get 5 of these symbols across your payline. The Poseidon itself is the will symbol and can substitute all other symbols except the bonus scatter. The wild only appears on reel 2 and 4 and it appears 2 reels wide and whenever that happens (appearance of wild) it will turn on to reel 3 and 5. This King of Atlantis will give you an option to choose that how many wilds symbols you would like on your reels. Like 20 wilds can be played for 40p to £800 per spin, if you check 40 wilds then you can play it using 65p to £1,300 per spin and 60 wilds cab be played by 90p to £1,800 per spin. The Poseidon Free Spins Bonus feature is also available in this game and this feature will be activated when you get the bonus scatter on reel 1. 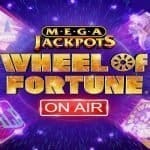 Tjis will offer you 8 free spins. 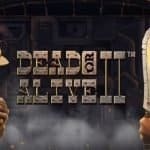 If you are looking to play King of Atlantis slot then yu can check out IGT casinos online or you can also find a list of igt slots here at top10casinoreviews.com as well.